I don’t wear makeup. I’ve tried. But it didn’t really work. I’m not very good at applying it. In summertime in Florida (and by summertime, I basically mean all year), when I’m teaching Martial Arts classes it just melts off my face. Sometimes I tell myself that it’s important for the young girls in my class to see an adult woman not wearing makeup, so I’m doing this on purpose. I like to pretend I’m making some kind of feminist statement or something, but mostly I just a little lazy. 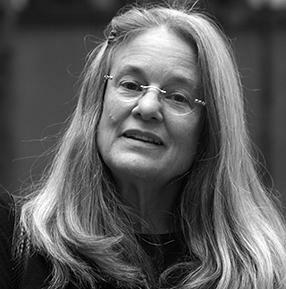 I was mesmerized when I heard Sharon Olds read her poem “No Makeup” in her interview with Krista Tippets on the podcast, On Being. Sharon Olds kept writing poetry about being a woman, a mother – about her experience of being a person and won the Pulitzer prize in 2013 for her work Stags Leap (which I haven’t read, but think I’ll be checking out the next time I visit the library). I so appreciate the women who have come before me, who were willing to insist that their experience was worthy of being called “Literature,” who wrote poetry that I could find accessible. Maybe one reason I do not wear makeup is to scare people. human ectoplasm risen on its hind legs to discourse with them. that evolved in us, to communicate. And my mother was beautiful—did I say this? you can see my heart, you can read my naked lips. Also, I found her interview with Krista Tippets to be full of insight, wisdom and humor.